Having medical debt is not an easy situation to be in. The truth is, having a lot of medical bills can be very stressful – too much that it can actually make you sick all over again. But that is the thing about medical expenses. When there is a need to spend on it, you have no choice in the matter. Your health and that of your family is very important. You cannot put a price on good health. That is why even if you do not have the money, using debt to pay for medical expenses is not really a taboo. After all, it is expected that you would do anything to make yourself or a loved one better. Of course, once the medical emergency is over, that does not mean the problem has come to an end. The illness may have been dealt with but the expenses are still something that you need to take care of. The problem is, a lot of Americans have trouble paying off their medical debt. Even if they have health insurance, 1 out of 4 adults struggles to pay their medical expenses. According to statistics, 16% of middle-income household encounter a big medical expense in a span of 12 months. This is proof that a medical emergency is not a matter of “if” but “when” it happens. You should make sure you are prepared for these by learning how you can deal with medical debts. Fortunately, there are many ways for you to deal with your medical bills. You just need to follow certain tips in order to keep this financial obligation from ruining your future. Do not ignore the debt and just face it head-on. It might seem like a daunting task but if you take it one step at a time, you will progress into solving this financial issue. Even if you have unaffordable medical bills, you can keep it from getting worse if you just try to solve it as soon as possible. Check every little detail that comes with your medical billing statement. Make sure that you are being billed for medical treatments and services that you received. It is not unheard of for some statements to bill you twice or for something you did not get. This is why you need to be careful in checking the list that is sent to you. Another thing that you need to check on is the insurance coverage. What will they cover and what will you have to shoulder yourself? Admittedly, this may be tough to determine. You need to talk to the insurance company and your doctor’s office too. But once you have the amount, it will make things easier as you try to plan how to completely pay off your medical debt. The EOB refers to the Explanation of Benefits. This is a statement that the insurance company will send you. It is a list of what they will cover the bill. You might mistake the amount with what you have to pay. It is the other way around. The amount in the EOB is what you do not have to pay. Anything in excess of that is the amount that you have to shoulder. Usually, medical debts can be paid in installment. But you have to talk to the doctor or hospital about it. You can have it arranged so that it will not be too much for your monthly budget. For sure, they will prefer that you pay off the debt instead of being forced into an arrangement that you obviously cannot afford. Analyze your budget so you can check how much you can pay each month. Be honest about this and do not promise more than what your finances can handle. If you come from a low-income household, there is a possibility that you can qualify for Medicaid. The qualifications usually vary per state so you need to check locally if you can apply this or not. This will help you pay for your medical debt – especially if you do not have your own health insurance. You have to apply for this immediately because it takes time to get an approval. You also have to remember that even though you are not qualified, your children may be qualified for Medicaid. Obviously, parents are responsible for paying the medical debt of their children. Even if it is not under your name because you are not the patient, unpaid medical bills will affect your credit report – not your kids. Most people will actually frown upon this suggestion. If you consider the high-interest rate of credit cards, it is understandable why you should never use it to pay your medical debt. However, there are instances when you are left with no choice about the matter. After all, this can help keep your medical debt from being sent to the collections agency. But you are forced to use your card, make sure you have a plan to pay it back. If you fail to pay off your medical debt, like all other debts, it will be sent to a collections agency. They will take over in aggressively trying to get you to pay off what you owe. This can get ugly really quickly. This is why you need to know your rights. Sometimes, debt collectors resort to abusive measures just so they can trick you into paying them. They only profit if you pay your debt. But if you know your rights and the laws protecting you, they cannot trick you into doing something that you know you cannot afford. You need to know how to write a cease and desist letter so they will stop bothering you. The law states that if you send this to them, they have to stop communicating with you about your debt. Of course, the debt will still be reflected on your credit report but at least you do not have to worry about the stress of constantly being called to pay your dues. 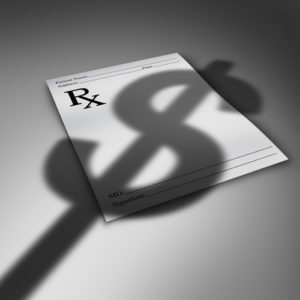 While learning how to deal with medical debt is a good habit to have, that is not enough. You need to keep it from happening in the first place. Why focus on negotiating medical bills when you can avoid it. Of course, that is easier said than done. The high cost of health care in our country is working against us. In fact, statistics reveal that 1 out of 5 Americans with health care coverage have a hard time paying off their out-of-pocket costs. That means with or without health insurance, people still encounter problems when it comes to paying off medical bills. So what can you do if you want to prepare for a medical emergency? First of all, you need to have an emergency fund. As mentioned, it is not a matter of “if” you will encounter an unexpected emergency. It is more of “when” it will happen. This is why you need to make sure that you can prepare for this expense. Save all your extra money so you have an adequate amount saved on your emergency fund. And since we are talking about medical debt, you should also consider living a healthy lifestyle. A healthy you means you are less likely to get sick and require medical attention. You do not have to worry about medical expenses. Take care of your body and you will be one step further from any medical bills.